We decided to take an alternate route to Albuquerque and headed up 260 out of Phoenix. 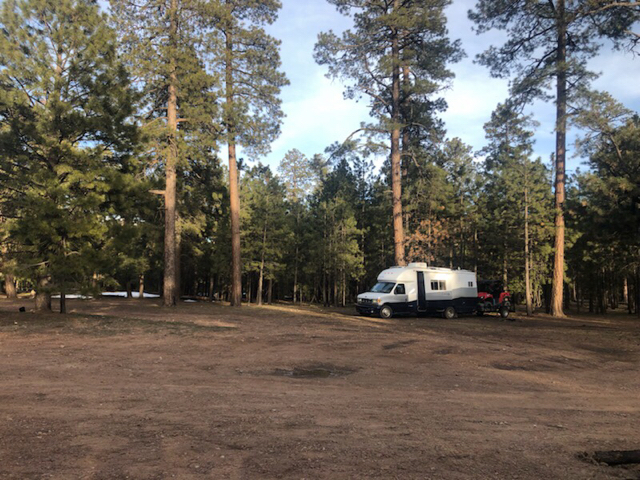 It was a beautiful drive through the mountains and we soon hit the pine forests and the Apache-Sitgreaves National Forest. We passed campground after campground but we wanted the free one. The campground has a bathroom and nice beautiful spaces to park. Current time: 04-25-2019, 07:55 AM Powered By MyBB, © 2002-2019 MyBB Group.